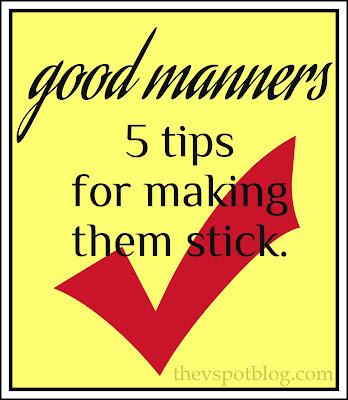 Having good manners comes from using them. Five tips for kids. I was given an opportunity to write about how to make a home a secure and stable environment for kids, thus creating a good atmosphere for learning. I have thought long and hard about the topic, and what I was going to write about. The purpose of having a secure and stable environment is to help reach the goal of raising secure and stable people. 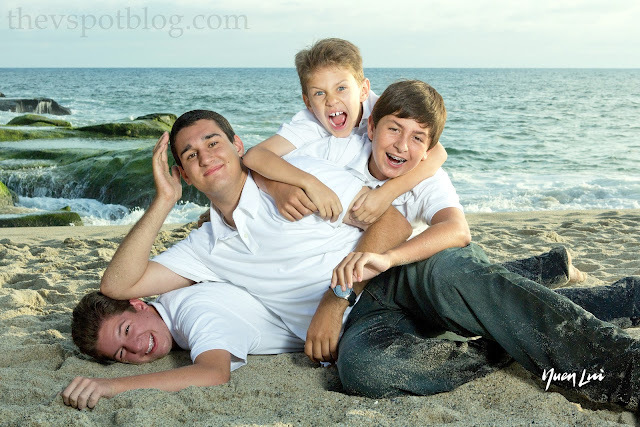 I joke around about what stinkers my boys are, but they really, really are good guys and I am very proud of them. HH is fond of saying, “Kids are as smart as they’re ever going to be.” What he means by that is that they have infinite capacity for learning at all ages… and that it is never too early to start teaching. Dave Barry said, “A person who is nice to you but rude to the waiter is not a nice person.” It’s obvious what he means by that. 1. Sit down and eat dinner as a family as often as you can. The more often you create this “social setting” the more comfortable your kids will be away from home. Turn off the TV, unplug and sit down. 2. Eat like a Human Being. If kids are eating like wolves, it’s because their mamas let them. Kids are never too young to learn basics. The parents who opt to let meals be a free-for-all for the little kids get frustrated when the child reaches an age where they should “know better.” Or they are embarrassed when their kids don’t act properly in public. That’s so not fair to your kids. Start early. Sit up straight. Things I say on a regular basis: “Please bring your food up to your mouth, not your mouth down to the food.” along with “You have a skeleton, and I promise that it will hold you up.” Good posture just plain old looks better. Elbows off the table, napkin in your lap. None of this is a condemnation of anyone’s parenting style, so much as it’s a recommendation that yields positive results. I totally agree with your list. Our 2 boys, now grown men, know exactly how to behave at the table, in the kitchen and in a restaurant. Please and thank you fall naturally from their mouths no matter where they are. Try as we might our one son “schmutzes” as my Latvian mother-in-law calls it. He makes a smacking sound when he eats. He tries to stop but next thing you know you can hear him. If that is the worst of his manners then we will live with it. I am also a firm believer that whoever cooks should not be cleaning up and my husband has always been the one to start clearing the table with the boys helping after I cooked dinner. Ahh it’s so amazing how much putting these things into motion early on can make. Sometimes I think “how many times do I have to tell you to do this” BUT I saw hope a few weeks ago. Finally without being told my son will go wash his hands after eating WITHOUT being told! It’s a miracle and only a small thing… but hey. It’s something and it goes to show if you keep it consistent it will happen… some things you just have to be consistent with longer to see the results ; ) Great tips! I 100% agree with everything you said. Sadly we have strayed from family meals, when we are together it’s usually at a restaurant, softball is truly all consuming! I refuse to let my girls talk with food pushed to the side of their mouth, it is ranked in my top 5 pet-peeves! I once took Peanuts utensils away for a week for her failure to use them after repeated reminders. Chicken and yellow rice with black beans and spaghetti were just a few things on the weeks menu. I feel it’s safe to say she learned her lesson! I wish this could be reposted into every school newsletter in the country. These all seem like such simple things, that you would think any parent who loves their children would be doing, but nope! In my (not humble) opinion there are far too many parents who bend to their children’s demands and whims, dinner is a restaurant where the children are the customers, good social manners such as “thank you” and “please” are only taught when the parent notices in public the child did not use these words. I think so often parents forget that they are raising their children so they can send them into the world to contribute to society and help make the world a better place. Such a spot on, timely post. Thanks! Viv I love your list! Over the summer we have become a little lax over eating dinner as a family at the table. We have been eating in tv room while watching Olympics. While that is fun my kids are letting their manners slide just a bit. We need to get back at the table for dinner. 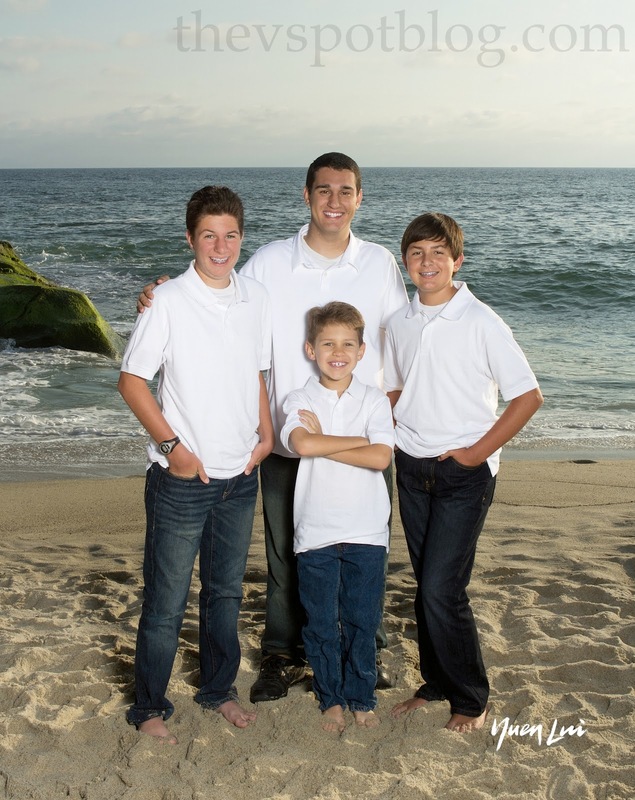 Great tips, and your boys are so handsome!!! Excellent post, Viv! I wholeheartedly agree. Manners are really important to me…my parents stressed them from an early age. (I wish hubby’s family had done the same!) I cook one meal, and if it’s something too spicy for the kids, I just keep a portion of it aside so that theirs doesn’t have the spice. Easy peasy. Great stuff! I need to hear this. Having dinner with my college age step daughters tonight, and this post will be on my mind. You are so right about how we are nicer to strangers than our own families. Ouch! Great tips! My oldest is 3 and sometimes I worry about screwing her up 🙂 I will be using these tips for sure along the way. Thanks for sharing. My weekend kids (well, the bf’s offspring we have around at weekends) are generally good kids and will do stuff that they know will prompt a positive response (getting rid of your plate, tossing trash in the bin rather than leaving it for posterity, simple stuff like that) but I feel that at 5 and 9, they are WAY behind. Eating like pigs? Um, yes, please! This always rubs me the wrong way, because I was taught to behave myself in a way that would not embarrass me and any adults around me when out in public. I think that it’s mostly done by “do as I do” and thanking them for things they do without being prompted. You are right, please and thanks seem to get used a lot less at home that out in the wild, and it’s a shame. It’s easy for me to moan that the boss at work only notices a bad job, but never rewards a job well done, so I’d be daft to be the same with the little ones. Note to self: do not take 10 year old boys into a lingerie store. Teacher Tweets: My son’s first experience with having something go viral. How we told our kids “the truth” about Santa Claus. Christmas lights and Hot Chocolate – a favorite family tradition. The proper care and feeding of headstrong teenage boys – Lessons on cooking, budgeting and eating on the run.